Step 1 - What's The Big Idea? How many times have you heard someone (perhaps even yourself) say, “That’d make a great story!” Usually this is uttered right after some unexpected event (observed in life or on television) or after hearing or reading about some new bit of information (in a conversation with a friend, on the radio or in the newspaper). Such an idea is called high concept because the very notion is so intriguing that anyone who hears it becomes enthralled with the potential for how interesting and involving a story built around that idea could be. 1. 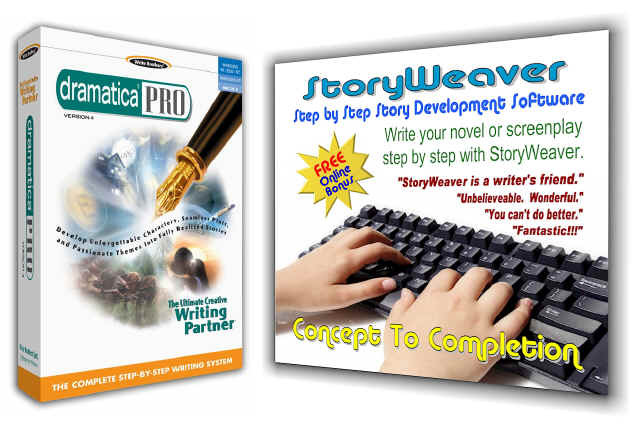 You need to have the abilities to write that particular kind of story. After all, just because you can recognize what would make a great story doesn’t mean you actually have the natural skills or insider knowledge that may be essential to bringing that concept to life. 2. You need to have the interest in the subject matter of such a story. No matter if the idea’s great and you have the required skill set – if you just aren’t personally excited by the material it doesn’t matter how great the idea is, you’ll never have the drive to carry it through to completion. One: Since high concept ideas are few and far between, be sure to note them down at the moment when they occur. All too often a wonderful idea crops up in the midst of some frenetic activity, and by the time you get back home you can’t remember what it was for the life of you. So, record it on your cell phone or mobile device, call your own number and leave it in voice mail, jot it down on a scrap of paper, or even just share it with someone you are with which doubles your chance of remembering it. Two: Also, great new ideas generally don’t spawn from the same old ****. The more you expose yourself to new experiences, venture into new locations, different social circles, or even just watch television programs you’ve previously avoided – the more you fill yourself up with unusual (for you) information, the more likely you are to come up with an unusual idea. Three: Once you’ve been fortunate enough to come up with a high concept, don’t just stop there. Though it is getting ahead of our step by step approach, it pays to do any development you can when you first think of the idea. At that time you are enraptured with it and, if you are like most writers, a lot of other tangential ideas grow from that fascinating core. Take the time to follow them as far as you can before the inspiration evaporates, charting out as many details and timelines as you comfortably can. Every minute spent in this early stage will be worth an hour of effort later on. Not surprisingly then, most books are not completed because the core idea was astonishingly captivating to begin with. Rather, it is because the author had some core interests and the skills and drive to make it happen. So, if you haven’t got a high concept idea as we’ve outlined in step one, it makes sense that the second step in writing any book is coming up with an idea that isn’t high concept but will inspire you and falls within your experience and abilities.